LONG GROVE, Ill. - Declan Sullivan was following his passion for football and photography when he took a job videotaping football practice for the Fighting Irish. It's been eight years since the 20-year-old from north suburban Long Grove was killed. Strong winds took down the scissors lift he was standing on to tape practice. While Notre Dame admitted fault, the Sullivan family chose not file a lawsuit against the university. "I don't remember discussing it. That is not who we are. That is not what we do," said Barry Sullivan, Declan's father. Instead, the Sullivans chose a different path. With unsolicited funds pouring in, they set up a memorial fund in Declan's name and directed the money to Horizons for Youth, a Chicago nonprofit that provides scholarships, mentoring and tutoring for low income students. "We wanted something local, where we could personally be involved to really see the benefit is being derived from this money," Sullivan said. Barry Sullivan is so involved, he left his own career to work there. An annual Declan Sullivan Memorial Fund fundraising event that brings in hundreds of thousands of dollars and has allowed Horizons to help many more kids. "They've added almost 100 students and much more than that, we've had so many supporters through the Sullivan family," Horizons Vice President Meghan Colgan said. Calling it "Declan's class," it started with 40 kids a few years ago. Now it is 90. 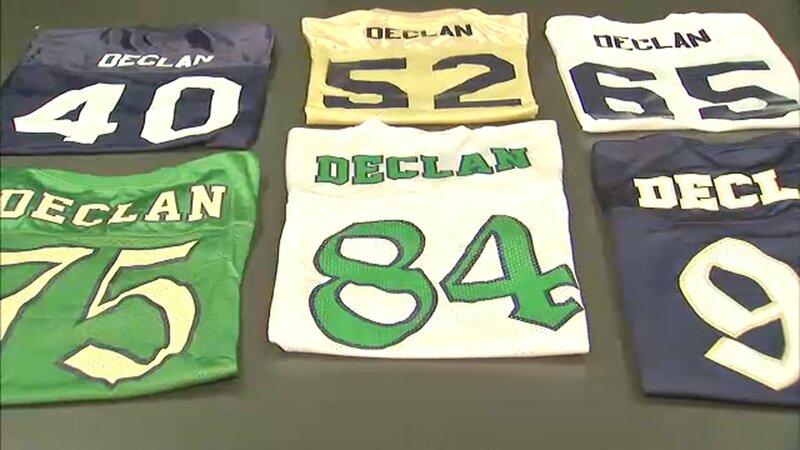 "Declan's legacy is these children," Sullivan said. Adriana Martinez came to Horizons when she was 11, with the goal to be the first in her family to graduate from college. Last year, she graduated from University of Illinois. "It's amazing, I think. Every single day, we are grateful for that, to realize we had all the support," Martinez said. It's support made possible by Declan Sullivan's legacy. "A loss like that takes you very low. To be uplifted by all that we have seen is a wonderful gift," Sullivan said. Ninety-nine percent of Horizon students graduate from high school and about 84 graduate from college. Declan Sullivan's story will be told on ESPN's magazine show E:60 on Sunday night.